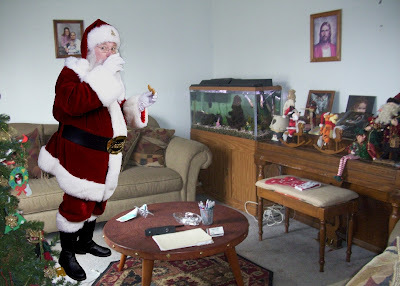 ﻿ This Christmas Eve, you can "catch" Santa on camera in your own living room! CLICK HERE to go to the website for more information on catching Santa on camera this Christmas Eve! You can also catch the Tooth Fairy, Easter Bunny, and Cupid! CLICK HERE for information on that! A personalized picture from Catch a Character is the perfect gift for any child… PROOF that their favorite fictional character is not only real, but was actually ‘Caught on Camera’ in their very own home! Kids will be amazed when they see the "proof" and you'll be a Hero! Choose from our world famous cast of characters including Santa Claus, The Easter Bunny and The Tooth Fairy. Snap your favorite scene and upload it to the site. Select a Character and place it into YOUR photo. Download, Share and Print your Proof! I am SUPER EXCITED I won this contest from Bargain Divas for a free Capture a Character! Thanks Bargain Divas! CLICK HERE to learn more about Bargain Divas. Congrats! I won one on Nut House Reviews! I am so excited to make mine and even more excited to show the kids!